As the 14th season of CBS reality series Big Brother wraps up tonight, the network is already looking forward to next summer. The network has renewed Big Brother for a 15th season. The TV provides three nights of programming for CBS — Sundays, Wednesdays, and Thursdays. Though this season’s ratings have been down across the board, each night has outperformed the network’s other original summer programming. BIG BROTHER, the summer reality hit, has been renewed for its 15th edition, to be broadcast next summer on the CBS Television Network. Since premiering on CBS in the summer of 2000, BIG BROTHER has consistently finished among the summer’s top-rated series in young demographics. This summer’s edition is averaging 6.79 million viewers, 2.5/08 in adults 18-49, 3.0/08 in adults 25-54 and 1.7/06 in adults 18-34. BIG BROTHER spans all platforms, from on-air to online and on cable. Online, BIG BROTHER content, including full length episodes and highlight clips, are available at CBS.com and across the CBS Audience Network. Additionally, CBS and RealNetworks provide 24/7 streaming video from inside the Big Brother house. 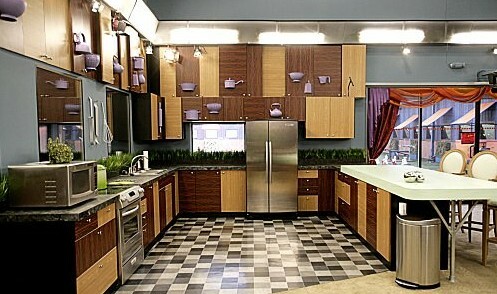 On cable, viewers can continue their live look inside the Big Brother house with BIG BROTHER: AFTER DARK on Showtime 2. On social media websites, BIG BROTHER is one of television’s most socially engaged series. This year on Twitter, BIG BROTHER has had five times the average number of tweets per episode (according to BlueFin Labs) compared to last season. The special 90-minute finale of this summer’s edition of BIG BROTHER, when Dan, Danielle and Ian will compete for the $500,000 prize, will be broadcast tonight (9:30-11:00 PM, ET/PT) following the premiere of SURVIVOR: PHILIPPINES. BIG BROTHER, hosted by Julie Chen, follows a group of people living together in a house outfitted with more than 52 cameras and 95 microphones recording their every move, 24 hours a day. Each week, the Houseguests vote someone out of the house. The last remaining Houseguest will receive the grand prize of $500,000. What do you think? Are you a fan of Big Brother? Glad to hear it’s been renewed? Do you think it should still air three nights a week? BB was my first ‘reality’ show and guilty pleasure. I love it and am so happy it continues to be renewed. To those who aren’t happy about it, they don’t need to watch. Why are you doing this to me, CBS?